After a number a teasers on the official Facebook page Xolo have launched the Xolo PocketPad Q2500. The Xolo PocketPad has a massive 6-inch display with a resolution of 1280×720 pixels. The phone runs on thee Android 4.2 Jelly Bean and Xolo mobiles have promised to give it a Android 4.4 KitKat upgrade in near future. Powering the phone is a 1.3 GHz Quad-core MediaTek MTK 6582 processor coupled with 500 MHz Mali 400 – MP2 GPU. There is also a 8MP camera with BSI ( Back Side Illuminated) sensor with a 2MP Front facing camera. To keep the phone running it has a 3000mAh battery. 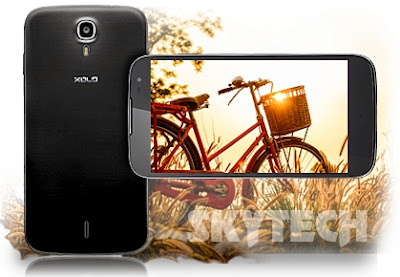 Xolo PocketPad Q2500 is priced at Rs 14,999 and will be available starting April.